Visit ID Label at ProMat 2019, April 8-11 | ID Label Inc.
We are featuring a full line of solutions for warehouses and distribution centers, including innovative new rack labels, tote and pallet labels, and installation services. Visitors to ID Label’s booth can obtain full product information kits for all labeling solutions, along with samples for testing at their local facilities. 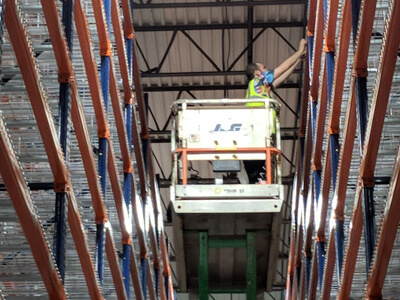 Warehouse Installation Services – Each year, ID Label installs more than two million warehouse labels and signs. No one has more experience. Services include complete project management, from label and sign design and manufacturing through data preparation and installation. Rack Location Labels – ID Label’s rack labels are produced on the industry’s most advanced digital UV inkjet presses. Whether for ambient, cooler or freezer storage, ID Label custom-engineers each label for optimal performance—from adhesives and face sheets to inks and protective laminate coatings. Featured ProMat products will include Clean Release™ removable label, BullsEye™ ultra-durable label, and its innovative SideScan 45™ label featuring angled barcodes for easy, error-free scanning. Pallet and LPN Labels – ID Label’s preprinted LPN labels help to minimize the cost and burden of printing labels in-house. The company offers a convenient Make-and-Hold inventory program so customers’ next set of pallet labels is always ready for same-day shipping. 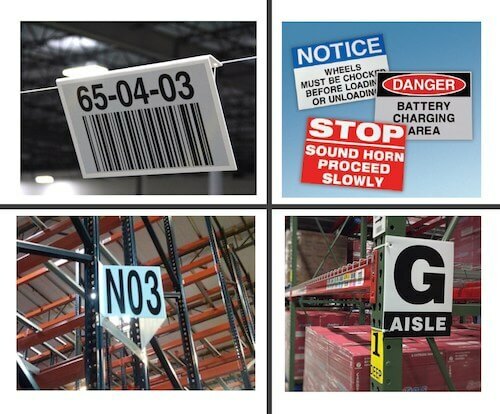 Warehouse Signs – ID Label offers a complete range of warehouse signage, including overhead bulk storage signs with retro-reflective graphics for long-range scanning. The company also offers aisle, staging, zone, dock-door and safety signs, as well as ultra-durable floor plate kits. Visitors to ID Label’s booth can obtain full product information kits for each of the previously mentioned product lines, along with samples for testing at their local facilities. 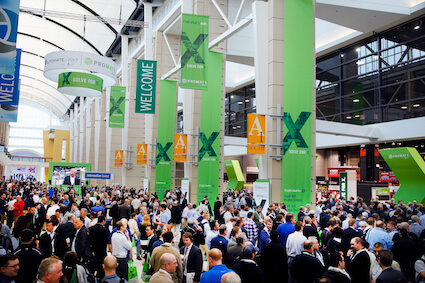 ProMat 2019 is the largest expo for manufacturing and supply chain professionals in North America.